Comcast is working on a way to make cable Internet speeds as fast as Google Fiber -- and maybe even faster. The company is testing new technology that will connect people to the web at more than 1 Gigabit per second. That's at least 50 times faster than the typical broadband connection that most cable companies offer. With the right modem, and under ideal circumstances, the technology is capable of delivering Internet speeds up to 10 Gigabits-per-second. Google Fiber offers connection speeds starting at 1 Gigabit per second. 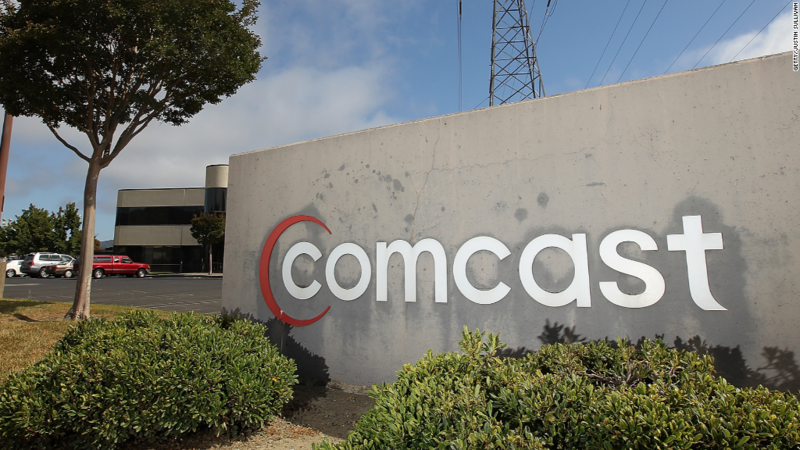 Comcast's upgraded network should be complete within two to three years, according to a Comcast spokesman, a fact first reported by FierceCable. The new technology works by making data transfer more efficient over existing cable networks, and doesn't require installation of fiber optic cables in homes. This is different from the company's existing super high-speed Internet service Gigabit Pro, which delivers data at 2 Gigabits per second through an in-home fiber network. Even though many companies are trying to provide faster Internet service, actual speeds can be much slower if websites don't speed up the delivery of their data. For example, Google Fiber offers the fastest Netflix speeds in the country, averaging 3.7 Megabits per second. But Verizon (VZ) FiOS customers get 3.53 Mbps Netflix (NFLX) speeds and Cablevision -- a regular, copper-wire broadband service -- gets 3.47 Mbps. Google, AT&T and Comcast say that Gigabit speeds are important for providing fast service to multiple devices that could be connected to the Internet at the same time. And they are making a long-term bet that companies like Netflix will eventually boost speeds for customers with faster connections, perhaps offering higher-quality video. -- David Goldman contributed to this report.